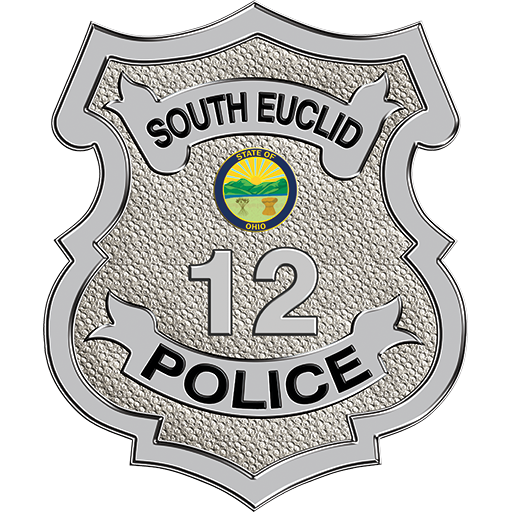 All members of the South Euclid Police Department are committed to providing quality municipal law enforcement services to our residents, business community, and visitors alike. In doing so, we will maintain a proactive approach to the protection of life and property, the prevention of crime, and will commit to resolve the concerns of those we serve in a timely manner. Our highest priority is to ensure our community remains a safe haven, and that residents and visitors live without the fear of crime or experience a decline in their overall quality of life. We will provide police services to all people in a courteous and unbiased manner, regardless as to the position or status of those we encounter. We will treat each and every member of the public with respect and importance. We are aware of the diversity of our community, and we will attempt to have our department be reflective of those we serve. We believe in the dignity and worth of all people, and are sensitive to those who may be apprehensive of the police. We are committed to protecting the rights of all with a focus on community-oriented policing in our delivery of services. In doing so, we recognize the public is our most important ally, and we encourage them to join us in our crime prevention efforts. We can’t be totally effective without their help. We want to be known as an organization that cares for the people we serve as well as for one another. We will maintain an open dialogue with the public in order that we might identify what their concerns are and be responsive to their needs. We will remain a full service agency and be responsive to the public’s needs, using both traditional and nontraditional police methods, regardless whether their concerns fit within the normal realm of traditional law enforcement duties. In the pursuit of our overall mission, we will focus on the “spirit of the law” versus the “letter of the law.” However, we will not hesitate to recommend severe letter of the law sanctions for those who have no apparent regard for the concerns or rights of others. We will strive for the South Euclid Police Department to be a leading law enforcement agency, a model for others to emulate, not just locally, but throughout the State. Our department maintains a high degree of integrity based upon a strong ethical foundation, and to maintain this public trust, we will hold ourselves accountable to a higher standard of conduct. We are an organization that takes pride in our work, and we will carry out our duties with enthusiasm and dedication. We value being visionary, creative, adequately prepared, innovative, professional, loyal courageous and have an unfaltering commitment to serve the community, whether it be in an emergency situation or routine call for assistance. We want to remain compassionate, approachable, empathetic, and fair. In whatever we do, if there are conflicting priorities, we must place the needs of the community first, and in turn, the organization over any particular personal desire or wants of any individual member. Most importantly, we will ensure that people who visit and reside in our community feel safe and secure while walking our streets, traveling our roadways, or simply conducting their daily lives.